248 pages | 4 B/W Illus. 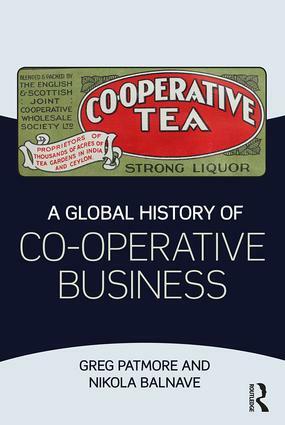 Greg Patmore is Emeritus Professor of Business and Labour History and the Chair of the Co-operatives Research Group at the University of Sydney, Australia. He is a member of the International Co-operative Alliance (Geneva) Global 300 Project. Nikola Balnave is Senior Lecturer in the Department of Marketing and Management and a member of the Centre for Workforce Futures at Macquarie University, Australia. Nikki has been the President of the Australian Society for the Study of Labour History since 2009. She has also been an executive member of the Academic Association of Historians in Australian and New Zealand Business Schools in many capacities since its inception in 2009.